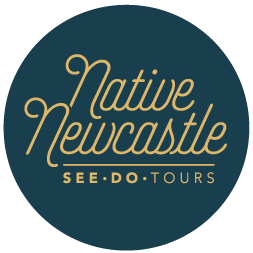 Recently I discovered the budding local tour company Native Newcastle. Heidi and Dan have combined local knowledge with an intimate tour size to create an experience that is, in my opinion, a must-have for visitors to Newcastle (and indeed, the locals!). I have always personally felt that Newcastle is a well-kept secret from the rest of Australia. Sure, they know us as the Steel City or the Coal Munchers… and perhaps it’s best to keep maintain that old facade! It’s no doubt, the City of Newcastle as been renewed. The influx of creatives, hipsters and trendy food locations have lifted the profile of Newie to a travel destination with an emerging culture of youthfulness. Below is an interview with Native Newcastle founders, Heidi and Dan. Make sure to follow them on Facebook to see quirky local posts and traveller highlights. What does it mean to be a Newcastle Native? A Newcastle Native is anyone who loves living in Newcastle. We are mad about this place and of course we call it home. We try to push it on everyone as a great holiday destination and have had a lot people “convert”. Lots of new people move here all the time and become Newcastle Natives and we think that’s great! Based on that definition, I am definitely a Newcastle Native. Why do you think Newcastle is being so successfully revitalised? We love that Newcastle is slightly too far away from Sydney for all the commuters to move in, keeping it a bit more “regional” and let’s face it, cheaper, but there is also an influx of creative talent, small businesses and money coming in to the town. I was born here (Heidi) and it has changed so much since my childhood. I think people in Newcastle are well and truly ready for change and are open to new things. But people here don’t scream about the great stuff going on. It’s kind of emerging as a modern, global place to live with all the benefits of a big city, but without the ego of say, Sydney. As tour guides, you would have been to many places. Where do you think the most romantic spot in Newcastle is and why? We will definitely keep a few under wraps for our tours, but when I (Heidi) was a kid we used to go up to Adamstown Heights at night and look down on the “Fairy Lights” (the city lit up). That makes for a good date spot. Dan’s favourite would have to be a deserted stretch of Stockton beach for a picnic and swim without anyone in sight. All good, I respect your business decision to keep some secrets! You both seem to have a lot of tour guide experience under your belt. What is the most unusual situation you’ve found yourself in? 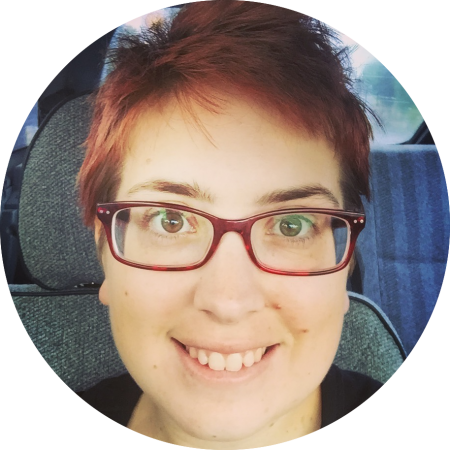 Heidi: I once took a group of English hikers out to camp on Krakatau (the Child of Krakatau volcano in Indonesia) which took a whole day on a boat to get to. It was really eery and when I woke in the morning , one of my passengers was missing. His room mate (tent mate?) told me he had gone to climb to the top (which was strictly forbidden as it’s too dangerous). I was furious but he survived! Dan: Rescuing a bunch of school girls across a river in the Kangaroo Valley when the wind blew up and they couldn’t paddle strongly enough to cross safely. Fun! Sometimes it’s the tour guides who are the unsung superheroes of our world, hey? What is one place people MUST visit when they come to Newcastle? The Bogey Hole. Goes without saying. Rain, hail or shine. I’ve always steered clear of the Bogey Hole but its reputation is certainly widely respected. Heidi, what coffee venue makes you stop in and grab a cuppa every time you go by? Side Pocket Espresso in Mayfield. Without a doubt; it’s the most consistent. Followed by Xtraction in town and Three Bean in Hamilton. I am, however, happy to keep trying more in the pursuit of the best cuppa. Personally, I prefer a good Chai Latte, but I’m sure some of our readers will try those places out! Dan, what is one historical thing that even Novacastrians might not know about somewhere or something in Newcastle? In the late 1800s Civic Station was opened and called Newcastle Station, then it became Honeysuckle Station, then Honeysuckle Point. It was later reopened as Civic. The Honeysuckle name was obviously so because of all the flowers growing in the area. Even a train station can have such history! I’m keen for the Water Res tours that will be happening soon (maybe this can be added to one of your tours when it becomes ore easily accessible?) I love local history. Back to business; have you been running Native Newcastle for long? We are actually opening for business in September 2015 but have already accepted out first booking. Tell us about your experience in getting it off the ground. We have been in the process of setting it up for about one year and have been refining our ideas and meeting with lots of local providers to collaborate on our tours, as well as finishing our tourism accreditation. We hope it takes off and believe that our product is unique. Nobody is really selling Newcastle’s fantastic sights and culture like we plan to. The cruise ship industry prompted our initial interest in developing our product, and we are now also looking at corporate clients as a part of our market. We’d love Sydneysiders to come here for weekends too, but not sure they’d find it different enough to do regularly. Like you mentioned earlier, I’m enjoying how we are gaining some of Sydney’s classiness, without the ego (so far!). Tell us about your favourite tour on your ‘menu’. The short walking “Beer in Newcastle” tour is a favourite and this sort of urban adventure is taking off all over the world. It is a great way to wander the city, hear some stories about architecture and history as you go, and of course mingle with some locals! Yes, craft beer action is so vogue right now. I love your Travel Philosophy: “Authentic experiences with a local person lead to more thoughtful and fulfilling travel.” What is an experience you’ve had with a local that’s changed your travel / life / self? It could be someone here or overseas. Everywhere we go we both look up people we know – be they close friends, or just people who have come in to our lives at some point (or even friends of friends). It’s especially good to do in harder to travel places. We both travelled to Nairobi and some parts of Kenya and Tanzania when there was civil unrest during the elections there and luckily our local friend could hire us a van to drive us across the country to evade the dramas. Knowing a local is not only handy in times of trouble, but she did show us all the best safari sites along the way (in their own personal vehicle, not a big tourist coach). Who wants to experience things with 60 other people? This is why we’ve gone for a small off road vehicle. It feels more personal and intimate. All of my travel experiences have been in small groups (or pairs) and I like not having to wait for anyone, so I think you have made a wise choice there. Having lived in Newcastle my whole life, what tour would you recommend for me? I’d have to say our “Absorb Newcastle” tour which connects with some of the indigenous people in our area. We hear some stories from local artists and visit the ancient and immensely important rock paintings in Milbrodale. It’s great for locals as well as overseas visitors. Has Native Newcastle allowed you to leave behind other jobs? We haven’t done it for long so we will have to let you know after a year. But it has certainly made us busy. We both have other jobs which we’ll keep for a while. Watch this space! Ha, we will have to reinterview you to chat about your success! Just to finish up; I love your web design and logo – did you want to give a shout out to the person behind it all? Our logo and website was designed by the girls at Neon Zoo in Bolton St. They are fantastic and really good to work with. Our photos were taken by Xanthe at What Xanthe Saw. Brilliant. She knew exactly the sort of photos we wanted and captured them perfectly. Can’t recommend them all enough!